Countless studies have been conducted to figure out if being a coffee drinker is a healthy lifestyle choice, but few of the studies have been conclusive and the jury is still out about whether caffeine is actually good for you or bad for you. However, many people do drink a cup of coffee daily and there is no question it can help you function, especially if you have become dependent on it. Most male coffee drinkers insist coffee helps them concentrate and get work done efficiently, which definitely makes sense because caffeine can act as a neurostimulant by blocking neurotransmitters in your brain that are responsible for promoting drowsiness. Other reports show too much caffeine can be harmful to your body, so you definitely want to be careful, but you probably will not experience too many problems as long as you do not drink too many cups a day. The caffeine stays in the body for hours. After you drink your coffee, the caffeine gets absorbed into your bloodstream after about 45 minutes, but your body then has to break it down and metabolize it. It takes about four hours before half of the caffeine in your body gets broken down into simpler compounds. The other half takes about eight hours to metabolize. Therefore, it takes a total of twelve hours before your body has no caffeine left in it. It will be in your system all day, but it should wear off before you go to sleep as long as you drank your coffee in the morning. If you drank coffee a little later in the day, it can definitely keep you up at night. You probably do not have to wait the full twelve hours before being able to fall asleep, but most experts agree you probably will have to wait about six hours before you are able to sleep soundly. Some people do not like to consider it as addictive. Caffeine withdrawal is definitely a real condition that occurs when you dramatically decrease your regular caffeine intake. Symptoms include headache, fatigue, irritability, depression, and difficulty with concentration. 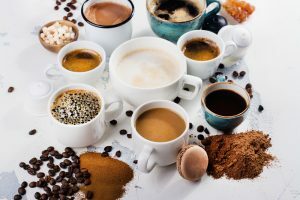 However, while caffeine withdrawal is a common condition that occurs to coffee drinkers who have not yet had their daily dose of caffeine, many experts do not consider caffeine addiction to be a legitimate problem. Rather, they prefer to label it as caffeine dependency. 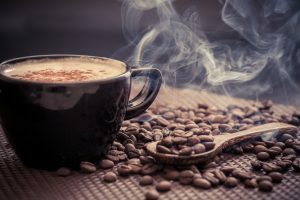 After all, caffeine is a socially appropriate substance and people consuming caffeine are not engaging in unacceptable behaviors typical of drug addicts. 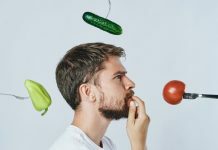 Additionally, addicts usually need to consume a higher volume of the addictive substance over time because the rewarding effects start to wear off. Comparatively, coffee drinkers usually only need the same amount daily to function, which demonstrates they probably just have a caffeine dependency that cannot be labeled as an addiction. However, a dependency can still sometimes be problematic. While an addiction is more likely to compel you to try higher doses, people who are dependent on a substance can still end up with doses that are too high. Too much caffeine can be harmful and, if you are concerned, you might want to consider switching to decaf. However, you should be aware that decaf coffee still has some caffeine in it. Coffee is not the only source of caffeine. 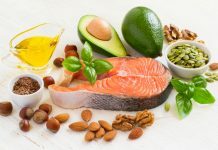 Since mounting evidence is demonstrating that caffeine can provide your body with more health benefits than detriments, caffeine products are becoming more and more popular. You can get in supplement form at your local pharmacy and it can supposedly reduce pain and increase metabolism. Headache medications also sometimes contain caffeine, even though very little research has shown it can work to reduce pain. Some manufacturers have become infusing their foods with caffeine, so you can now find caffeine as an ingredient in bottled water, candies, mints, gum, and even peanut butter. You can also find caffeine in some skin creams and bath soups because dubious study suggested that caffeine can be absorbed through your skin to wake you up in the morning. Other studies suggest caffeine can prevent hair loss, which is why a few shampoos contain caffeine as well. You should be wary of most of these caffeine products because the evidence does not back many of claims the products make. Caffeine may be healthy for you, but only in smaller doses, so you only need your daily cup of coffee in order to reap the benefits. You do not need supplements full of high doses of caffeine powder to lose weight or concentrate at work. The timing of your coffee consumption can make it more effective. Researchers have actually recently developed an algorithm to figure out when is the healthiest and most effective time for you to drink your coffee. The recommendations that the algorithm provides gave people 16% to 64% better results from the coffee than they were previously used to. Additionally, it also helps people decrease consumption by 17% to 65%, which is also important because high doses of caffeine can be dangerous and, in rare cases, can lead to caffeine poisoning and even death. The algorithm works by figuring out when you are likely to feel the need to reverse the effects of sleep deprivation. For example, when you do not have enough sleep, you may be tempted to drink three huge cups of coffee the second you wake up. However, as the day goes on, you likely to start getting tired again and need more coffee. By spreading out your coffee intake throughout the day so that you end up with sufficient caffeine at the end of the day, you can improve your performance. 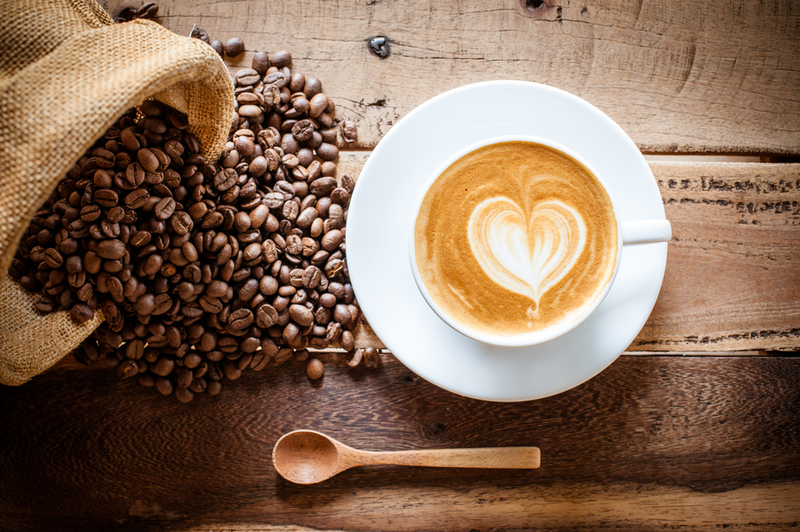 While it may be unclear if coffee can actually provide you with any significant longer term health benefits, it still can definitely help you to function, especially on days when you are feeling especially sleep deprived. You should just be aware that, as with any substance, when caffeine is not taken in moderation, it can cause some health detriments. Additionally, if you do a poor job of timing when you drink your coffee, it might be ineffective and it might end up keeping you up at night. However, since Americans consume 400 million cups a day without any serious health warnings about a coffee epidemic, you will probably not experience any health concerns by becoming a regular coffee drinker.